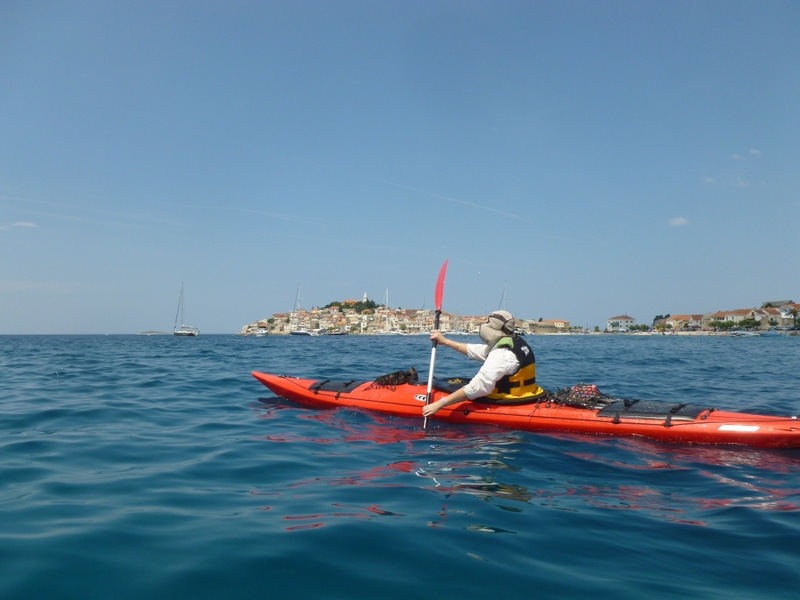 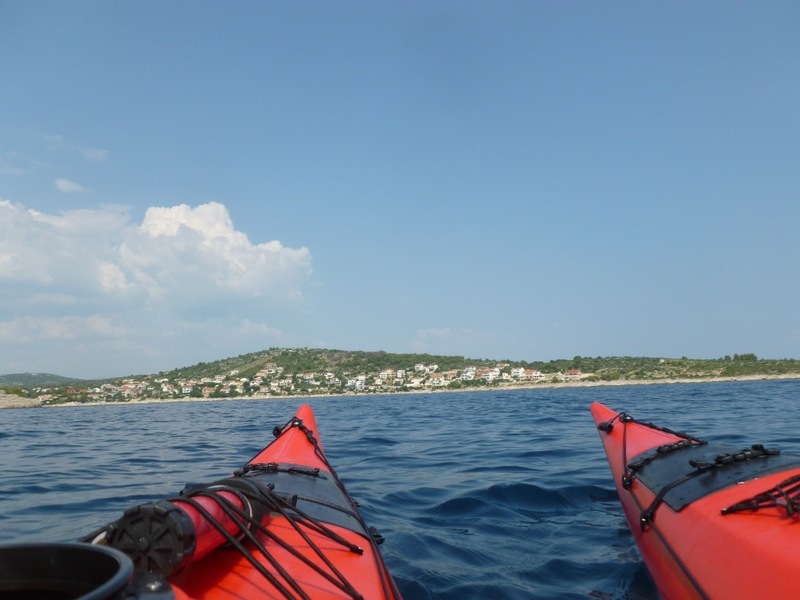 it was a lovely hot day – we sweated it out and water consumption rose , muscles unaccustomed to recent kayaking started to register complaint. 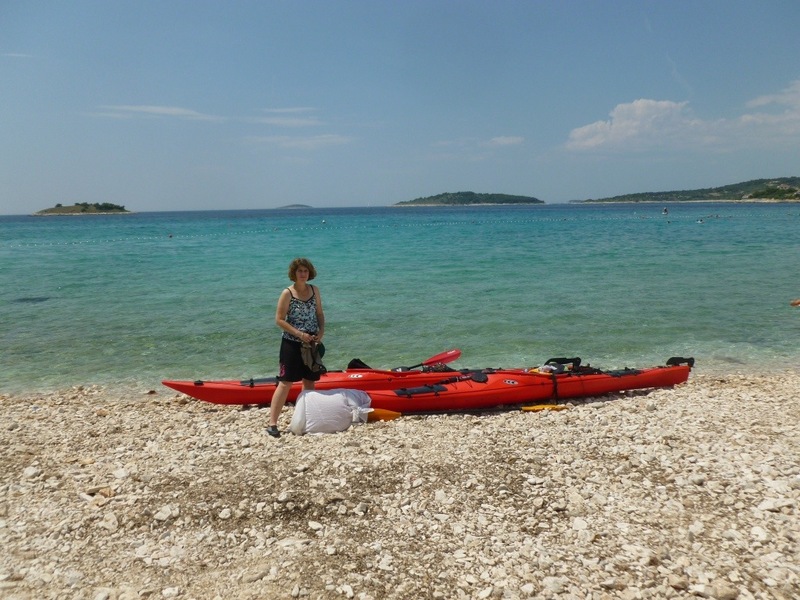 the coast offers surprisingly little opportunity to beach the kayaks as it is a rugged Stoney shoreline with very few beaches. 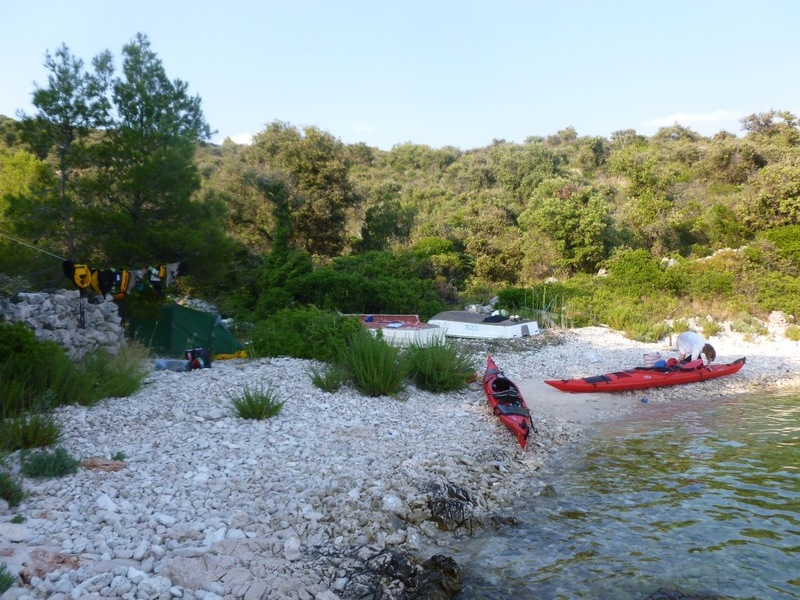 By days end we found a camp of sorts on a little rocky beach at St Trogir. 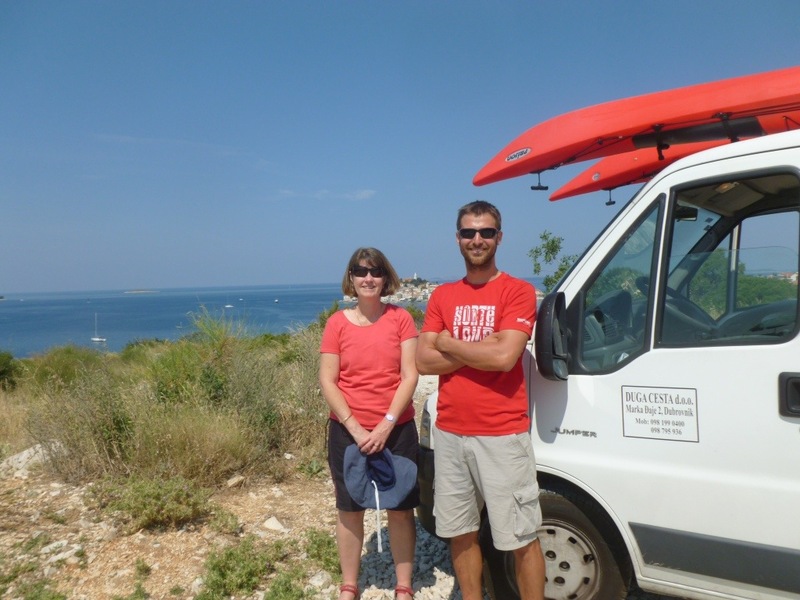 We sought permission from the owner nearby to camp – freely given after a translation by phone to his son.